The creation of an organisational chart eventually comes up in every organisation some day. It must truly reflect the structure of the company. Well done, the organisational chart clearly establishes the position and responsibilities of each person. It also highlights the organisational needs. A good organisational chart supports the growth of your company. The Optimiso organisational chart software makes it easy to draw and update. 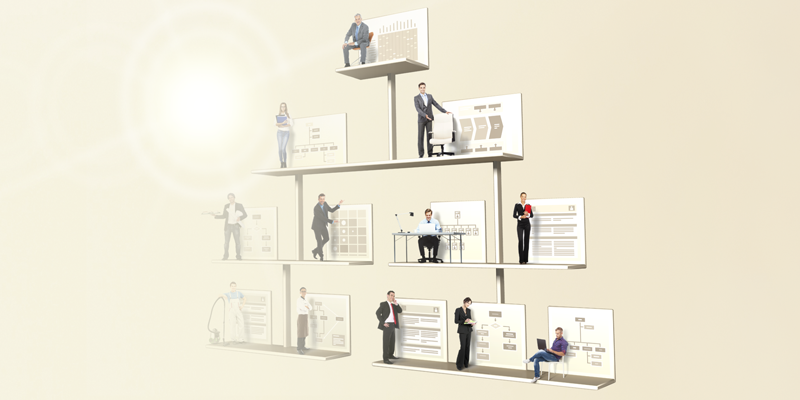 Specifically and easily developed, your organisational chart becomes really useful. More than just drawing software, Optimiso links the organisational chart to all the desired organisational elements, including employees, processes, risks, incidents and improvement projects.